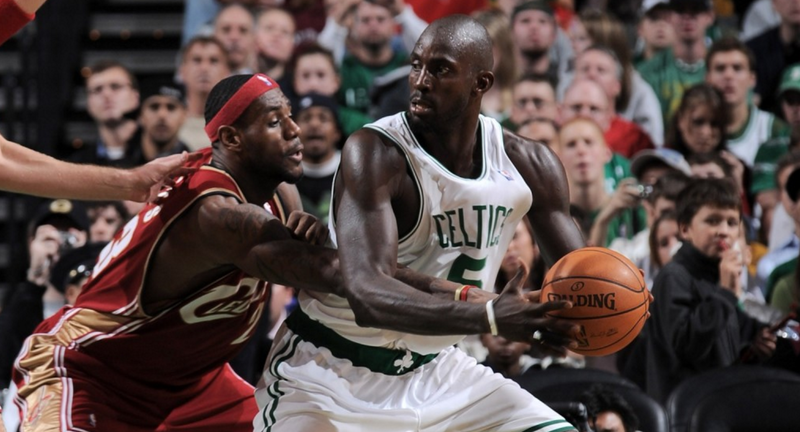 Tyronn Lue explained how the Cleveland Cavaliers were interested in bringing Kevin Garnett out of retirement to play as their backup center. The head coach contacted Garnett after their veteran big man Andrew Bogut suffered a season-ending injury just seconds into his Cavs debut. "Hell naww, I bleed green." Lue revealed that the Cavaliers reached out to Kevin Garnett -- who was working as a consultant with the Clippers and Bucks after retiring last season -- about coming to play backup center after Andrew Bogut suffered a season-ending leg injury. "I was like, 'Man, you should come back and play for me.' He was like, 'Man, you all have a lot going on over there,'" Lue said. "That was before we hit our stride like we're playing well now. He was like, 'If you and [James] Posey were still playing, I would come.' But he said, 'But y'all are coaching and y'all are going through what you're going through.' He said, 'Ah, I'm going to sit this one out.' I said, 'OK. We'll call you next year.'" This sounds like a pretty good excuse from KG if you ask me! I guess James Posey is a deal breaker, huh? Thank god this didn't happen. Seeing KG team up with Bron Bron and the Cavs would be super depressing, not mention if we had to face him in the Conference Finals. I don't care if he didn't see a minute of playing time -- that would still be tortuous for Boston to witness. Good thing we don't have to worry about that!